Sort of the same message from this Wizard-of-Id parody. 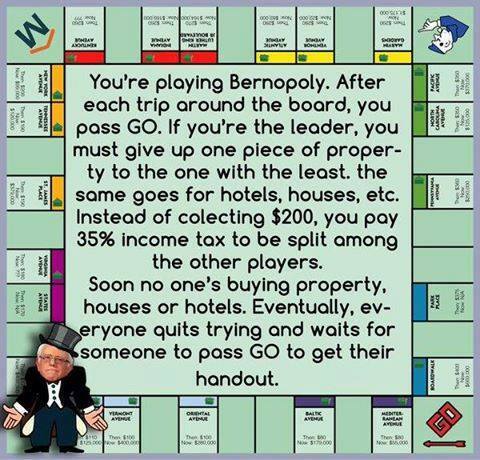 By the way, I have lots of material mocking socialism (see here and here), so we can count that as being anti-Sanders humor (even if he’s not even a real socialist). Now let’s shift to “The Donald.” I don’t know how to classify him from a philosophical perspective (probably because he doesn’t have a coherent set of principles), but he is an entertaining figure. That being said, I think I’ve only had one column that included Trump humor. So let’s atone for that oversight. 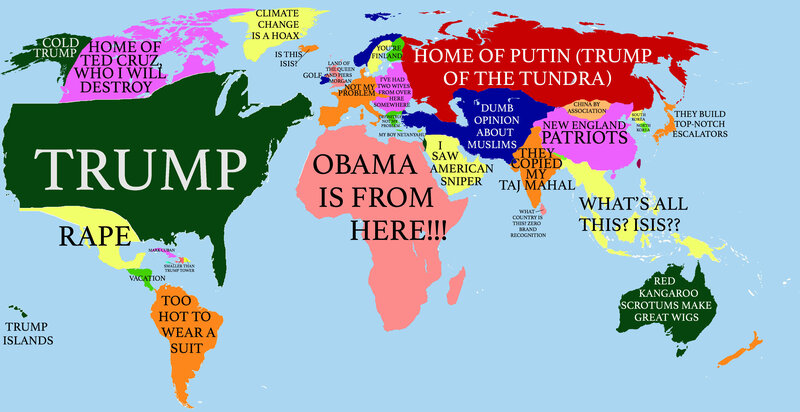 This World-according-to-Trump map is quite clever (January 15, 2018 update: The previous link no longer works, so I’ve inserted another version). Very similar to the very amusing how-the-Greeks-see-Europe map I shared back in 2011.